One of my favorite parts of my day job as Producer of Philosophy Talk is putting together the billboards, aka open tease, that comprise the first minute of the broadcast (before the news). It's basically a condensed clip show, with a small set of voices (hosts, guest, movie/TV clips, song lyrics) combining to form an aural entity far greater than the sum of its parts. Coming up with that set for each show -- recording the hosts reading wild lines, scouring the interweb for clips to "answer" them, finding a song with just that right balance of usable lyrics and instrumentalizable passages -- can be a struggle, but the result is usually a pleasure. I've finally started compiling all the ones I've produced (i.e. all but a tiny handful) in one place. As of this writing, it's everything that aired in 2014. But the complete will stretch back to 2007. Enjoy! Blind Boys of Alabama & Taj Mahal, Merry Christmas! Jon Stewart and Stehpen Colbert, Can I Interest You in Hanukkah? Christmas Jug Band, Hey Santa! Blind Boys of Alabama & Taj Mahal, Who Will Remember? I myself did one of the interviews for the story, and it was easily the most challenging interview of my life. We managed to get in touch with Johnny Pacheco via his wife Cuqui, and so were thrilled to have one of the principals willing and available to talk about the record. He is, however, very old. Though he at first "got" the idea of repeating the question in the answer for our non-narrated purposes, he had a LOT of trouble keeping on topic. Lots of starting and stopping, trailing off. (Do I ask... now?) A not-great phone line didn't help either. 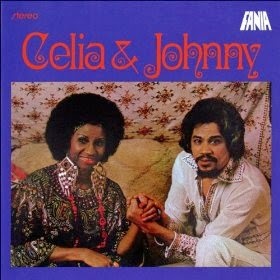 Pacheco wasn’t the first to use the term salsa to describe music, but Fania Records made it nationally popular, and Celia & Johnny was its first breakout hit. It set Cruz, a singularly talented and popular singer who had worked with Puente, in front of a much smaller band that left a lot of room for vocal improvisation. Dorado Schmitt, What Is This Thing Called Love?